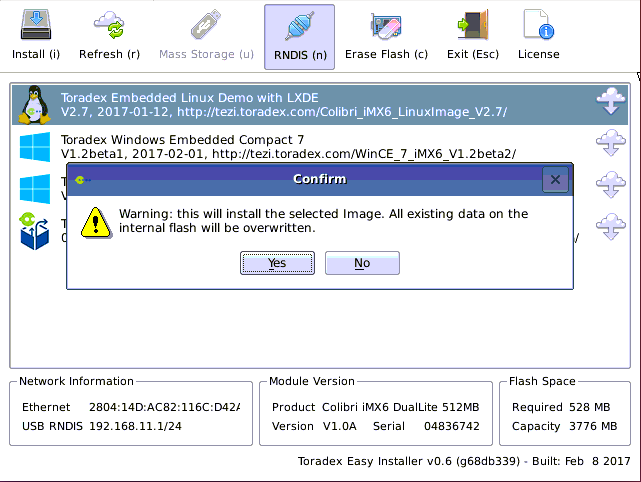 In this section, you will power on your system and use the Toradex Easy Installer to flash the latest Toradex pre-built image to your module. Use the graphical interface to flash Linux. Power-on your board and you should see the Toradex Easy Installer displayed on the monitor attached to the VGA port of the Aster. Images available for download are listed. If none are currently shown, check if the Ethernet cable is connected and press "r" to refresh. 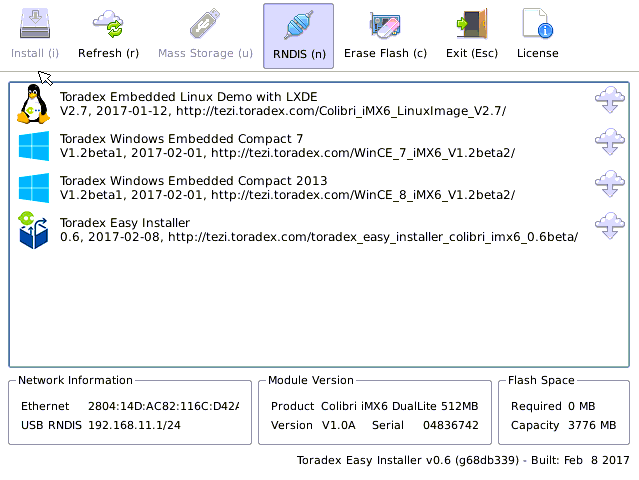 Your module should have come with the Toradex Easy Installer pre-installed. Note: While executing this step make sure your board is connected to internet source and connection is established successfully. 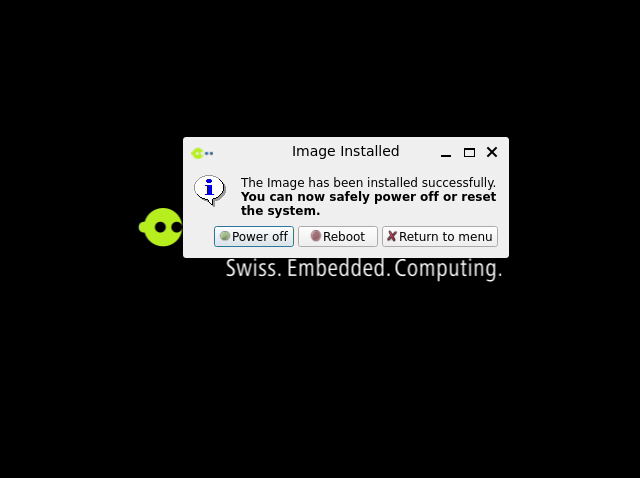 After the Image Installed message pops-up, select the Power off option to shutdown the system.